People have been talking about running cars on water for years, but it's a slow march from science fiction to reality. Even on a small scale, development is difficult. But the i-H2GO is the second revision of an all-water remote controlled car that seems to actually work. 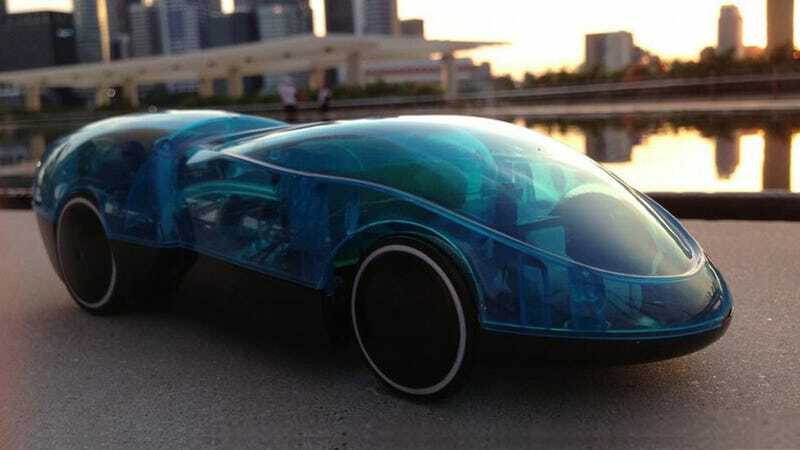 In 2008 Horizon Fuel Cell Technologies and Corgi International released the H2GO. And now they're updating it. As with the previous model, you pour water into the refueling station and it is electrolyzed (split into hydrogen and oxygen) by power from a solar panel. The high energy hydrogen is directed into the car and converted to electricity to run it. On a cloudy day you can also use a USB charging cable to electrolyze the water.